This can mean that your team goes into hibernation mode. 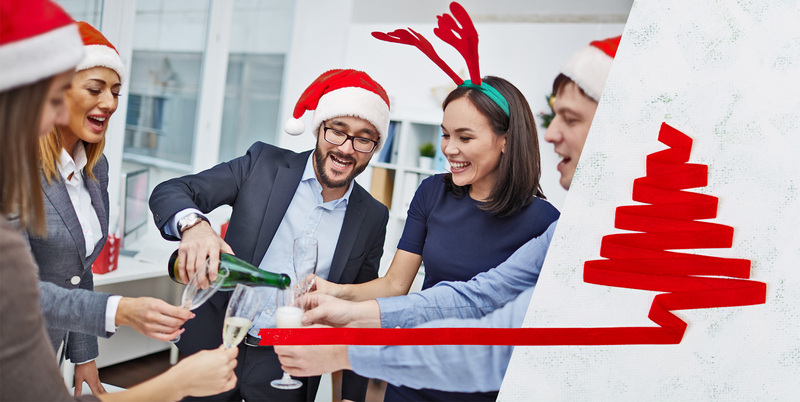 All year round your employees are hard at work so when the winter draws in it is time to have a little bit of festive fun! Are you planning a team event and need some team building activities? And there are loads of ways you can do this, some don’t take up much time or concentration and some are perfect if you are wanting an hour or two out of doing work. So depending on what you have time to do something depends on exactly what you will be doing, but here are some ideas for you. A classic and something that your whole team can get involved with is secret Santa! It is an opportunity for your team to get to know each other a little better as they have to find the perfect present for their secret Santa! You could get everyone to pick a name out of a hat and then dedicate an afternoon in December where you bring the presents in and all open them together! It would also be fun to guess who your secret Santa was! Every year our Funktion Events team take an afternoon out during our last working week of the year to go down to our local Christmas market. Since we are in the city centre we take a short walk down to the Chester Christmas Markets! It is a great way to get your team into the festive spirit without having to spend a whole day on something. A silly game that can only need 10 minutes of your team’s time is the name that song game. All you have to do is hum various Christmas or festive related songs and your team have to guess what song it is. For this you will needvarious shaped items, wrapping paper, ribbon, tape and scissors. Split your team into individual teams and hand out all the equipment. At the given signal each player will have to wrap their item the best they possibly can and the fastest person wins! But remember you can consider the style and the neatness of the wrapping when deciding on the winner. What brings a team together quite like some food? Why not set up a Christmas food buffet lunch where each member of the team brings in an item of food for the Christmas buffet. It is a great way to come together at lunch time and enjoy some tasty buffet style food together!